Dolphins are magnificent, intelligent beings. They should not be imprisoned for our amusement. Boycott all cruel "sea world attractions." Over a YouTube clip about animals. "Laboratory animals see sunlight for the first time", or "elephant mourns his best friend the goat". I watch something like that every day and I'm always in pieces. 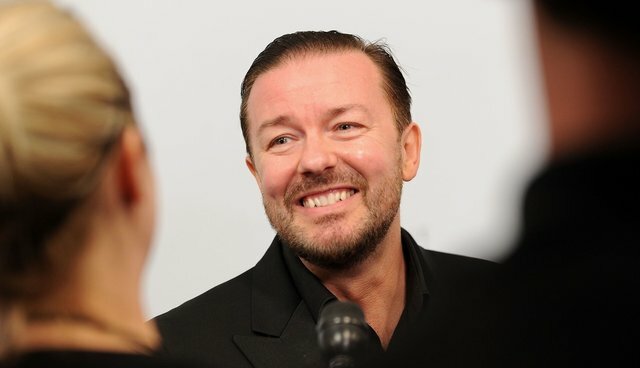 Gervais also recently did a great deed for animals: he symbolically adopted a moon bear on a bear bile farm-turned-sanctuary taken over by Animals Asia in Nanning, China. He named the bear Derek, after his recent TV show. You can find a list of other celebrities who've argued against SeaWorld and marine parks here.